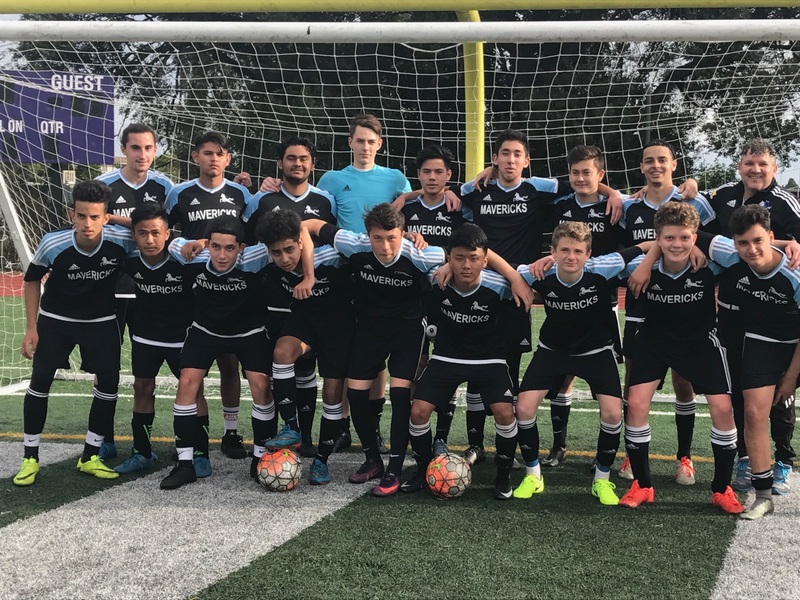 On May 20, the last day of the season, the Mavericks 2000 Boys Black team, led by Coach Marcelio Ramos, faced the California Northstars 00Bs in a battle for first place in a very tight division race. Mavericks needed the win, while a tie would have seen the Northstars through. The first three-quarters of the match was well-played, hard-fought, and scoreless. In the middle of the second half, the Mavericks' Thiago Nunes made a creative run into the box, was fouled and awarded a PK, and calmly put it in the net for a 1 - 0 lead. The Northstars pressed hard for an equalizer, but Mavericks' defense held firm. With just a couple of minutes remaining, Mavericks scored again on a counter-attack, with Star Wyrzykowski blazing a path down the right wing, then crossing the ball to Jesus Ibarra Ramos for a goal and the 2 - 0 final score. Mavericks 00Bs finished the season with a 6-2-2 record; after losing their first two matches, they were unbeaten for the next eight. Congratulations to Coach and players, who came together, trained hard, learned from their mistakes, and found their way to excellence!